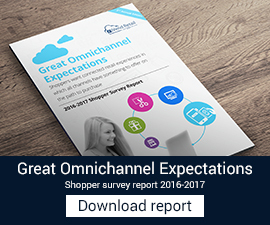 Retail business owners certainly appreciate how busy and complex operating a store can be on any given day, but how often do you really think about the huge amount of information that needs to be tracked? Every piece of merchandise, every customer transaction, every time a cash register drawer is opened – all of these hold the potential for profit or loss. Multiply that by your number of locations, and you have an enormous amount of data to record and process. A comprehensive retail management software system can gather and process that data for you, putting the information you need to run your business most effectively right at your fingertips. 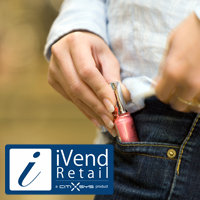 With the iVend Retail Management Software, you can track inventory, observe the buying patterns of individual customers and customer groups, find the availability of an item at one of your other locations, manage your online store, and so much more. One of the most critical benefits to an integrated retail management software system, though, is the ability to know what goes on in your store. One of the most common problems faced by retail stores and chains is the issue of pilferage; responsible for close to half of all retail losses, internal threats are the biggest source of loss for retail stores. Your POS system can help you keep those losses from pilferage under control. 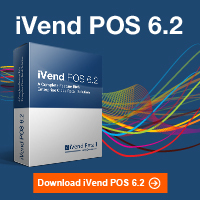 Your iVend monitors and records every transaction that the cash register processes – every sale, every return, every voided transaction, every time the drawer is opened. It records till counts, at the beginning and end of the day and periodically throughout, tracking variance. You can set up separate logins and passwords for each employee, so you know who was responsible for the register during which transactions. Biometric login strategies, supported by iVend, prevent employees from stealing one another’s passwords. By reviewing the logs of these transactions every day, you can identify any unusual activity – the drawer being opened an excessive number of times, several small returns or refunds, or anything else that stands out. Unexplained, anomalous behavior at the register can be a sign of theft or fraud. Tracking your inventory is another way that retail management software helps you control pilferage. By keeping a regular, accurate count of your stock – and making sure employees know that your inventory is tracked by the software – you can reduce the chances of your merchandise walking out the door when it shouldn’t. Having the ability to track inventory offers advantages beyond loss prevention as well; retail management software allows you to check the inventory of other stores in your chain and for your online store, and to observe what sells well and what stays on the shelf, which can help you make future inventory purchasing decisions. You can keep track of customer purchasing data with iVend Retail Management Software as well. You can analyze the buying habits of your customers, create discounts and sales, and develop and manage customer loyalty programs to keep your customers coming back. You can view customer contact information, balances, and credit limits at the POS, and record multiple billing and shipping addresses for your customers. These features allow you to improve your customer service, but they also have important loss prevention applications. Reviewing POS transaction logs with an eye to identifying unusual numbers of large returns and comparing them to inventory shortfalls at other store locations can help you identify potential fraud. Our iVend Retail solution allows you to improve the efficiency and quality of service at your retail stores while controlling potential losses due to pilferage. To know more about our iVend Retail management Suite Contact Us or mail us on info@citixsys.com. 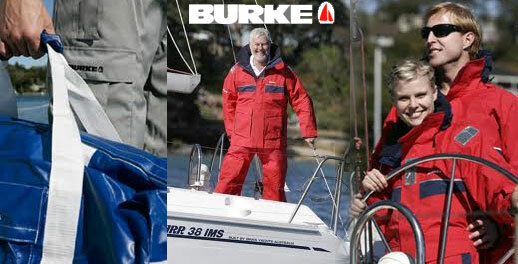 Burke Marine owns a chain of stores spread over Australia and New Zealand. The company with its growing operations was unable to effectively and efficiently manage its store operations due to disparate and unstable systems, which meant they suffered from a lack of data consistency and reliability. With such disparate systems in place Burke Marine were unable to gain a complete view of their sales, inventory and store profitability, mainly due to it not being available. The manual checking of such key information became increasingly difficult to manage on an ongoing basis and was failing to provide upper management with key data to enable them to make important business decisions. Transformation of retail POS has been tremendous over the past decade. Despite transactional complexities & other glitches: Security, safe transactions, accountability & accuracy have been dominant concerns for global retailers since theft losses continue to mount each year. Safeguarding customer information is not the only concern among global retailers, currently they struggle to protect their sensitive business information including their costs, sales numbers, profit margins, etc. A corrupt, fraudulent employee or deceitful hacker can prove to be a financial disaster that can reoccur. One password theft makes a retail POS security fragile & vulnerable to attack. Access of an intruder inside the retail system can lead to a data theft, cash register manipulation, inventory mismanagement and a number of other damaging actions. These can shatter the entire system, because in case of a password hack or theft, tracking the exact point of responsibility is next to impossible. To address these concerns the latest version of iVend Retail, a leading Retail management solution integrates with leading fingerprint biometric DigitalPersona to enable retailers to quickly and securely identify users when performing tasks or accessing applications and records. As per data released by the National Retail Federation (NRF), nationwide employee theft topped $19B in 2006 and the amount is increasing each year. 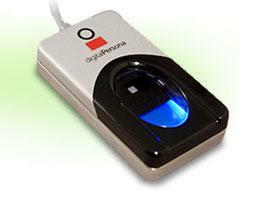 Biometric security integrated with retail management software is a suave way to combat such threats. The fingerprint reader solution easily integrates into POS systems so businesses can reduce fraud, ease tracking, lower IT costs and enhance efficiency. How does iVend Retail Biometric Fingerprint Readers Work?